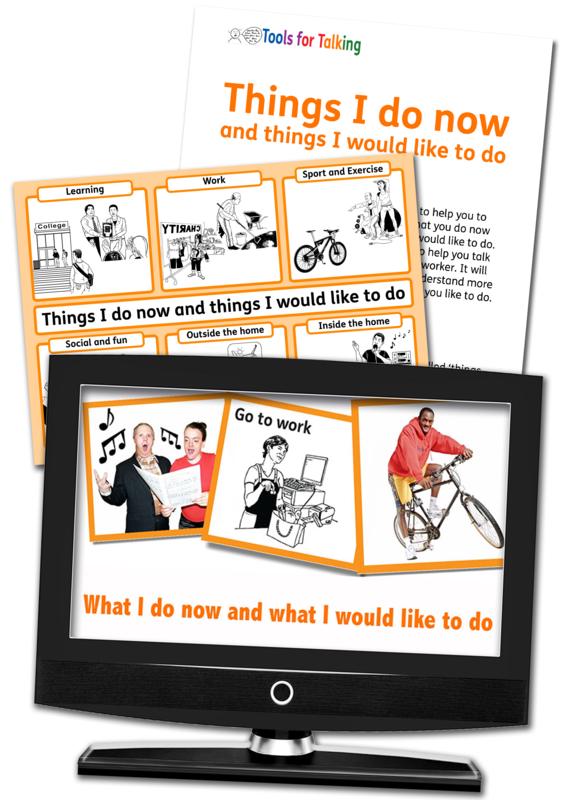 The tools for talking include five short videos and five activities. They were developed primarily for use in social support settings to facilitate communication and information sharing between people with learning disabilities from minority ethnic communities and service providers. However, they may have wider applicability and could be used in a variety of settings. The tools were developed during the ASC-LD study and are based on the results of interviews with 32 adults with learning disabilities from minority ethnic communities and a Partnership Event held in November 2013. Click here for an easy read summary of the project. Amongst other themes, five topics emerged as important which were each developed into an illustrative video and an exploratory activity. Please see the Instructions for using the Tools for Talking for more information. All the resources are free to download and reproduce and can be accessed from the Resources tab above. Find out more about the project by going to the ASC-LD page on the University of Birmingham Website. We are also hosting some of the materials that are described in a recently published book CBT for people with Intellectual Disabilities – Thinking Creatively by Andrew Jahoda, Biza Stenfert Kroese and Carol Pert (2017). This book examines the influence others have on the lives of people with intellectual disabilities and how this impacts on their psychological well-being. Based on the authors’ clinical experiences of using cognitive behavioural therapy with people who have intellectual disabilities, it takes a social interactionist stance and positions their arguments in a theoretical and clinical context. The authors draw on their own experiences and several case studies to introduce novel approaches on how to adapt CBT assessment and treatment methods for one-to-one therapy and group interventions. They detail the challenges of adapting CBT to the needs of their clients and suggest innovative and practical solutions. The Tools for Talking reflect the results of independent research commissioned by the National Institute for Health Research, School for Social Care Research (NIHR SSCR). The views expressed are those of the authors and not necessarily those of the NIHR SSCR, NIHR, Department of Health or the NHS.